Working at the office for hours can sometimes be quite tiresome, especially when there’s a lot of work to do and not much time to rest. Luckily, with a couple of fun and useful gadgets and apps, you can improve your productivity and make your work easier to organise, so check out the next few suggestions. Finding quality computer hardware in this day and age is not a hard thing to do. However, the constant clicking of the mouse devices and keyboards can become rather annoying and distracting, especially if you work in a larger office and need peace and quiet to focus on your work or if you prefer working late but don’t want to disturb others. If this sounds familiar, buying a silent mouse and keyboard might be a great idea. It might not make your big office completely noise-free, but it will at least make your own environment a bit more pleasant to work in. This is a great app for those who are often in a hurry or on a move and can’t find the time to type full messages. It allows you to create short abbreviations that can transform into words, longer sentences or even phone numbers and addresses. You can personalise them however you want and the app can be used on all your devices, which will help you save time and be more productive no matter where you are. If your job includes a lot of travelling, it can sometimes be difficult to keep track of all your business meetings. To make sure you don’t find yourself sitting at your laptop and waiting for a meeting for half an hour just to realise that you’re in completely different time zones, download this app that will convert the time zones for you and help you schedule your meetings, conferences, or business calls much more efficiently. If you’re a person who likes writing everything down, especially during business meetings or presentations, a digital smart pen is a perfect gadget for you. By using digital paper, the smartpen can convert everything you write into a digital format, which you can then upload to your computer. Some pens can even record audio and connect what you write with it, so you can choose a word from your notes and you will also be shown that moment in the recording. This app helps you synchronise all your personal notes across different devices regardless of whether they are pictures, links, texts, or recordings. You can create as many notes as you want and the app will keep them perfectly organised, and you can also add different tags that will help you search through the notes quickly and find what you need more easily. You can even save those searches for later and use them again when needed. Everybody who owns a computer knows what kind of mess cables can make. The thing is, a messy desk sends out a wrong message not just about your work environment but about you as well, so keep your cables organised with cable clips. They are small, easy to use, and will make you look more professional. There are various options and ways in which these types of apps can be used. They all allow you to access your documents from any computer, laptop or smart phone as well as add new documents to your cloud storage and share them with your coworkers. Most of them are free and simple to use, and the best thing about them is that you never have to worry about losing your important files as they can be restored if you delete them by accident. Last but not least, every office should have a good coffee machine. Why? Well, not only because everybody loves coffee for its taste and the ability to wake us up, but because it brings many other benefits. When choosing the coffee machine for the office, think about the quality, because a cup or two of coffee during a workday can significantly increase the productivity of the employees. However, this boost of productivity is not about the extra energy only. It is a perfect chance to take a short break, interact with co-workers and bosses and get some feedback, advice or just chit chat, which later allows us to focus better on our work. Just make sure not to forget to provide enough cups or mugs for the coffee, and you can even rely on fancy-looking sets like Wedgwood has, and enjoy your coffee breaks with style. 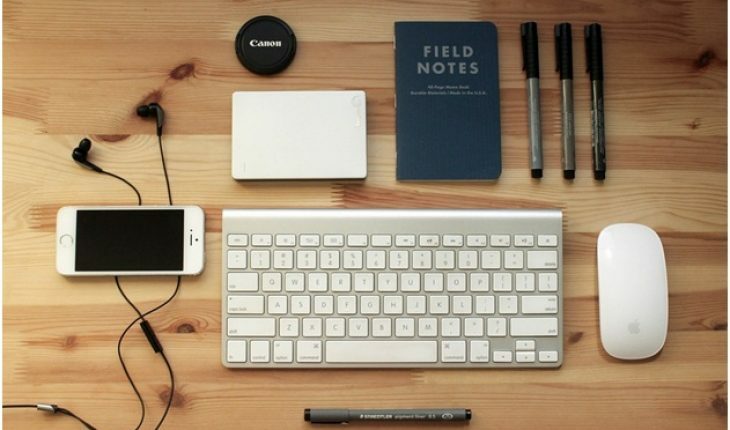 With a few interesting apps and gadgets, every workday can become easier. So, don’t just sit at your desk struggling to keep everything in order – introduce some changes into your work routine with the above-mentioned suggestions and see how your time spent at the office changes from boring and exhausting to fun and productive.